Since Manitowoc is “Wisconsin’s Maritime Capital” (even one of the high schools has the nickname “Shipbuilders”), it’s only fitting that the Wisconsin Maritime Museum would be located in the city. 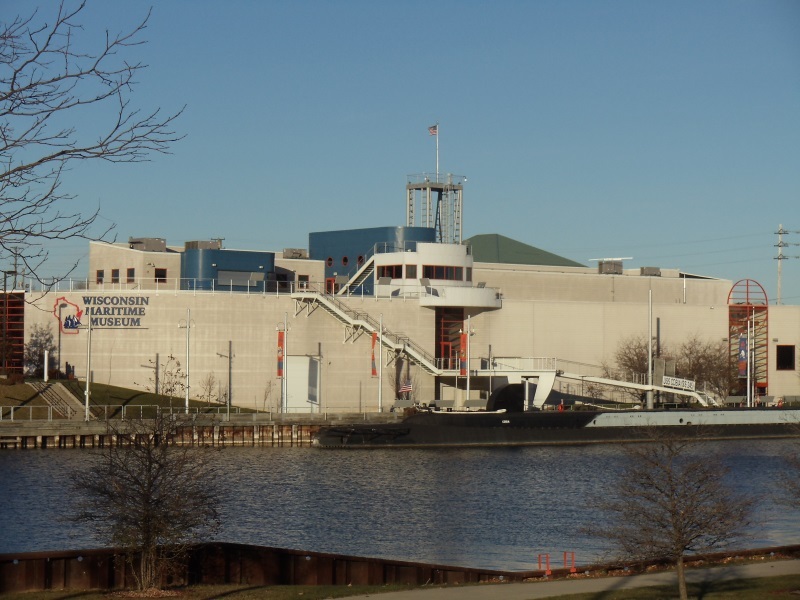 Holding one of the nation’s most extensive collections of Great Lakes maritime artifacts and history, the museum prominently features the USS Cobia, a World War II submarine similar to the ones manufactured in the city. The Cobia is permanently berthed in the river and can not only be toured, but kids and parents can bunk down for overnight stays during monthly events! Other exhibits include the Children’s Waterways Room, the Maritime History Gallery, an Aquatic Species Investigation Lab, and “Treasures of NOAA’s Ark”, which offers a look at Wisconsin’s underwater treasures. The museum is a big part of the effort to turn the Lake Michigan coast from Port Washington to Two Rivers into a national marine sanctuary. Admission is $12 for adults, $10 for children ages 6-15, and free for kids 5 and under. Other discounts are available for military, AAA members, senior citizens, and families. • Spring (Mid March – June): 9:00 a.m.-5:00 p.m.
• Summer (July – August): 9:00 a.m.–6:00 p.m.
• Fall (September – October): 9:00 a.m.-5:00 p.m.
• Winter (November – Mid March): ◦Weekdays: 10:00 a.m.–4:00 p.m.
◦ Saturday – Sunday: 9:00 a.m.-4:00 p.m. They are closed New Year’s Eve, New Year’s Day, Easter Sunday, Thanksgiving, Christmas Eve, and Christmas Day. One Response to "Wisconsin Maritime Museum"
Founded in 1970, the Wisconsin Maritime Museum has grown into one of the largest maritime museums in the Midwest.